Every day it becomes more important that people can trust the software that is installed on their computer. 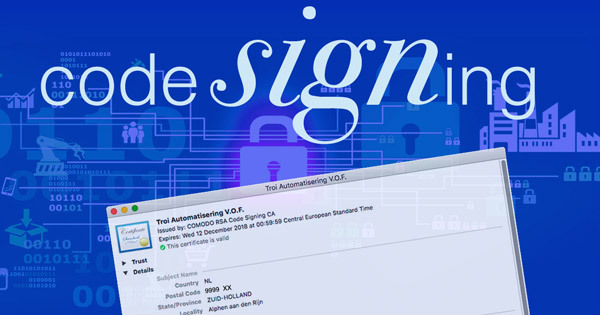 To help you trust our software, and more specifically our plug-ins for FileMaker, we now sign our software code. 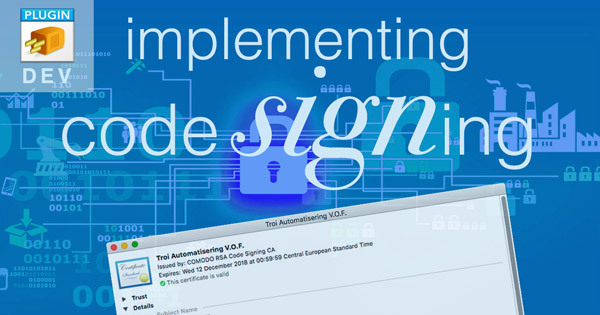 When you check our plug-ins you should get a valid signature, with the right name. To help users trust new software and more specifically plug-ins for FileMaker we sign our plug-ins. In this post we will describe how a plug-in maker can sign a plug-in on macOS and on Windows.